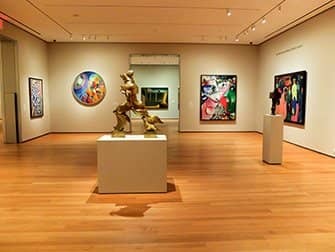 MoMA Museum of Modern Art in New York is a must visit for all modern art fans. It is one of the major modern art museums in North America. There is a spectacular permanent collection, as well as many different exhibitions. The tickets below allow for a convenient visit with skip-the-line access. Furthermore, you can visit the MoMA PS1 on Long Island City within up to 14 days with the same ticket. 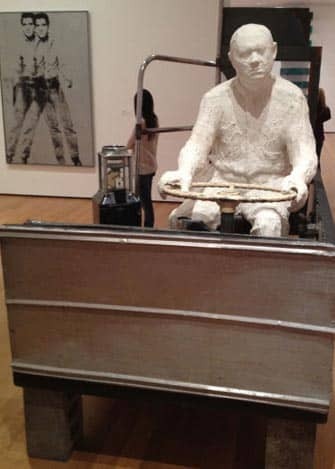 What is there to see at the Museum of Modern Art in 1.5 hours? Check if there is an exhibition that you would really like to see. On the 6th floor (the top floor) there are always 1 or 2 important exhibitions, these are often worth checking out! If not: take the escalator just right of the entrance. Go all the way up to the 5th floor, that way you will get a feeling of the building. Enjoy masterpieces by the most famous artists on earth: Cézanne, Van Gogh, Picasso etc. After that, go downstairs where the permanent collection continues. Pollock, Warhol, Rothko. Very beautiful. Go down another flight of stairs for some lighter entertainment. The MoMA has a good Design section on the third floor, and the Architecture on this floor is also worthwhile. Time left? Check out another exhibition, or if you are tired you can watch a movie. On every floor there are friendly people at the information desks that can help you find something entertaining. Afterwards, in the summer, you can enjoy a drink outside in the sculpture garden. In the winter you can try out one of the cafés in the neighbourhood although these are often very busy (and rather pricey). During the day, it is very busy. Try to plan visiting the museum in the morning, about a half an hour after MoMA opens (the museum usually has long queues when it opens its doors). Then the queues should not be so bad. When you first arrive, there is always a queue at the cloak room (it’s free) to drop off your coat. All bags (except handbags) must be left there, even plastic bags. I advise you to go shopping after your visit to MoMA. Free audio tours are available for each visitor. These are the small portable devices where you enter various numbers to hear the tour. MoMA has a large gift shop within the building itself, but one also across the street with more furniture and tableware. There is another MoMA shop in SoHo (81 Spring Street). 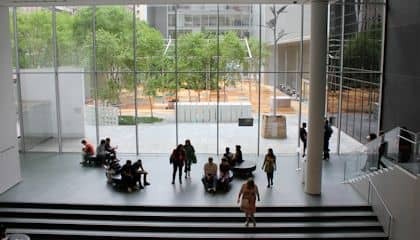 For a really special experience visit MoMA early in the morning, when it is still closed to the general public. 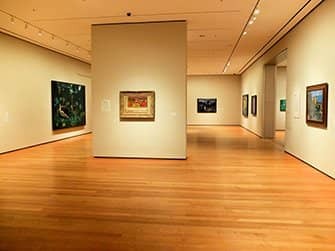 With a professional Art Historian as your guide, you walk through the museum to behold the many masterpieces. 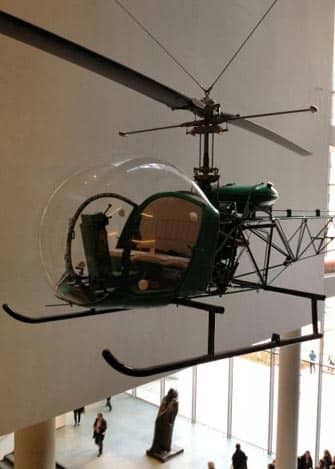 Because the tour group will be the only visitors in the museum, the halls will be completely empty and you can stand front and centre at every classic! The regular entrance to the museum is included, so after this exclusive VIP tour, you can stay as long as you like. 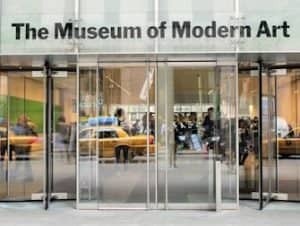 The New York Pass and the Explorer Pass include an entrance to MoMA as well.